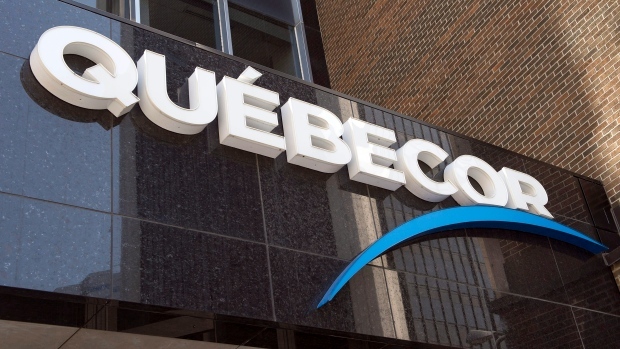 Quebecor and Quebecor Media will release fourth-quarter earnings and host a conference call on Wednesday. Quebecor's TVA Group announced in February that is has an agreement to buy the Incendo group, a Montreal-based producer and distributor of television programs for international markets, for about $19.5 million. Statistics Canada is expected to release the national balance sheet and financial flow accounts data for the fourth quarter 2018 on Thursday. The release includes the much-watch household debt-to-income figures. The figures come after Equifax Canada said consumer delinquencies climbed higher in the fourth quarter of 2018 and warned that rising delinquency rates are likely to become the norm this year. Carolyn Wilkins, senior deputy governor at the Bank of Canada is scheduled to give a speech in Vancouver on Thursday. The central bank kept its key interest rate target on hold at 1.75 per cent last week as it pointed to "increased uncertainty" about the timing of future rate hikes following the economy's abrupt deceleration in late 2018. Transat A.T. hosts conference call following earnings release on Thursday. The Montreal-based airline is aiming to improve its position after a rough summer in 2018, as rising jet fuel prices and currency fluctuations reduced the travel company's profits ahead of the ramp-up of competition from Canadian airlines. The Canadian Real Estate Association is expected to release its latest home sales figures on Friday. The year began with the weakest January home sales since 2015, with the number of transactions down four per cent nationally from last year.